We'd been to the Vineyard a few times before, more often when we lived a lot nearer, but our visits had been later in the day and mainly for drinks. 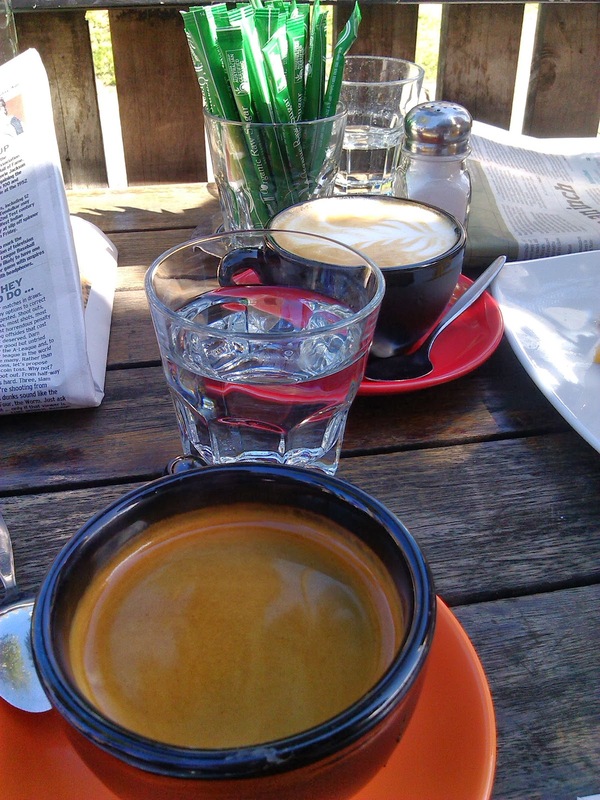 This visit was for brunch after the City to Sea running event. 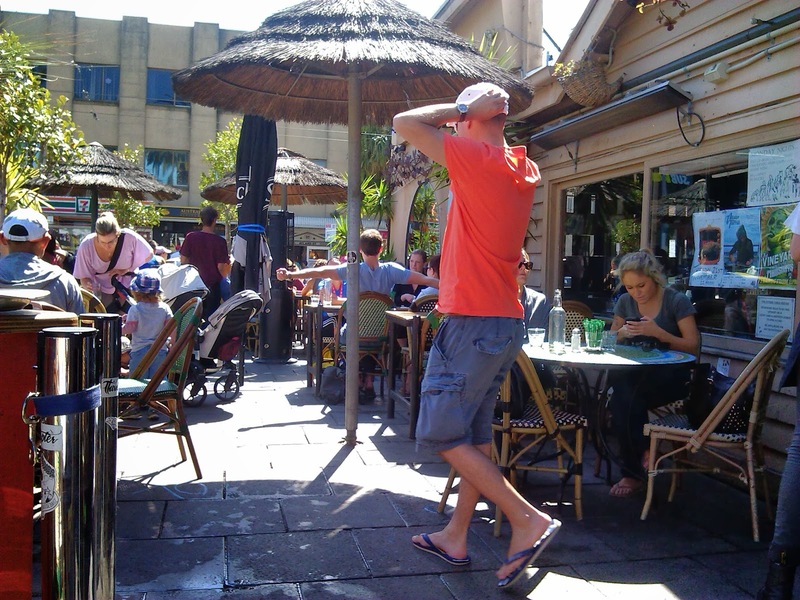 St Kilda was filling up with runners and their friends and family, and we got one of the last outside tables in the sun. The breakfast menu wasn't huge but offered planty of options to customise the various egg options. It took a little while for our orders to be taken, partially due to the steady stream of new arrivals. We had to wait a short while for our coffees, but both the long black and skinny flat white were worth it. Our meals arrived soon after the coffees. 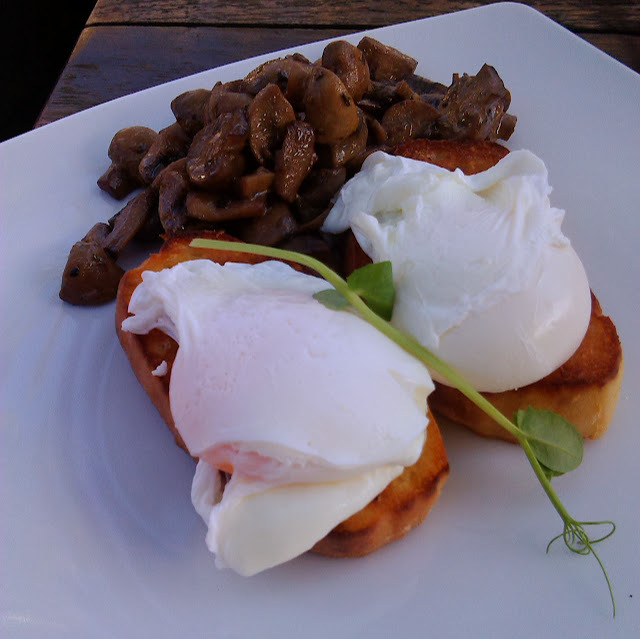 I had poached eggs on toasted cibatta with mushrooms. The eggs lived up to my high standards and were pretty much perfectly cooked, with nicely runny yolks, the mushrooms weren't bad either. 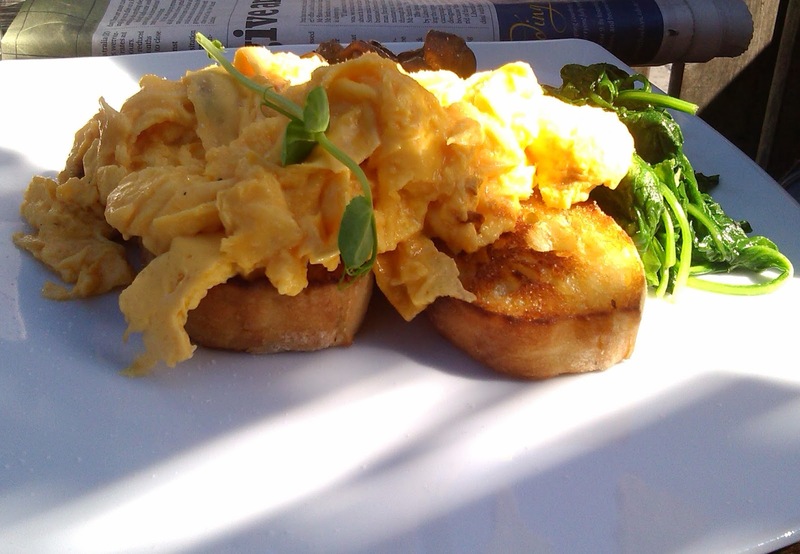 The scrambled eggs with mushrooms and spinach were also prepared to the better half's tastes. The bill was just over $30 which was pretty good value for good quality food, in a great spot to watch the world go by, but not too crowded either. The service was fine given how busy the place was fairly early on a Sunday. I'd happily get brecky there again.